My experience with Atari 2600 has taught me how to deal with these things. This evening, asteroid YU55 will pass by Earth, coming so close as to actually cross into the Moon’s orbit. 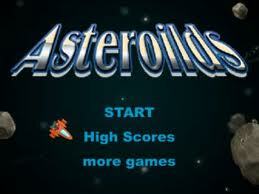 I have seen the asteroid described as “the size of an aircraft carrier” (why not “the size of an average Wal-Mart”?). This event (which apparently presents no danger to life on Earth) is really quite amazing, in my opinion. It lets us imagine the type of mass extinction-level event that killed the dinosaurs and paved the way for the gradual rise of the mammals (including primates like you!). It is also a reminder of how tenuous life can be on a lonely little planet–we don’t even need anything from outer space to threaten us; we continue to do that to our own planet ourselves from within, even though it is the only one we have. Also slightly disconcerting is how reminiscent this situation is to that in the film Melancholia, which I only viewed two weeks ago. [Disclaimer: I must say that I never imagined that I would ever again have any recourse to watch a Lars von Trier film after struggling through his previous horrifying fraud of an “art film”, but the lure of yet another treatment of an apocalyptic scenario was too strong to resist–the genre is somewhat of a delectatio morosa (or, perhaps, a gusto picaresco) for me.] The film, in any case, was so visually stunning and emotionally jarring that I felt that it at least warrants mentioning in reference to something. The maelstrom of the Richard Wagner soundtrack added to its intensity as well. I am not sure whether this film would be helpful or harmful for a person struggling through depression or related issues, so I best leave my tentative recommendation to those who consider themselves to be in possession of a robust state of mind. All of these prefatory remarks lead me to my main topic: 2001: A Space Odyssey (I’ll leave you to find your own connections between the subject matter). The film was co-written and produced over the course of 4 years by Stanley Kubrick and Arthur C. Clarke. The men eventually decided that the movie would be released before the book, and that both men would be co-authors (the two versions have several slight differences). One of my favorite facts about the film is its timing: it was released in 1968, over a full year before the first actual moon landing. Conspiracy theorists go so far as to claim that the Apollo 11 footage was nothing more than outtakes from 2001 (not hard to imagine, in a way, since Kubrick typically used around 20 times more film than most directors). Despite this early date, the film holds up remarkably well, and retains a timeless (or even futuristic) feel today. 2001 is one of the most influential films ever by any measure. It has been universally adored by every subsequent director, with Steven Spielberg calling it the “big bang” for his generation, and George Lucas calling it “the ultimate science fiction movie.” Ridley Scott stated that it was the “unbeatable film” that “killed the sci-fi genre,” and a film critic similarly said that “in one stroke it has made the whole science fiction cinema obsolete.” Hyperbolic or not, what is the reason for such a reception of a mere film? Out of all of Kubrick’s oeuvre, 2001 is the film that most transcends the medium of cinema itself, striving towards a loftier goal of existential understanding of humanity and the universe. Quite an accomplishment for a 2 1/2 hour film with only about 40 minutes of actual dialogue. In addition to the innovation and influence of Kubrick’s film-making in general, there are many technological aspects that are both scientifically accurate (two NASA engineers working on the project helped assure that the spaceships were precise to the smallest detail) and far ahead of their time. In fact, even now in 2011, it is simultaneously discouraging and hopeful to think about how far behind we are on the film’s predictive timeline of our technological advancement. In the 1960’s, the accelerating space-race had led many scientists, including authors like Clarke and Isaac Asimov, to conclude, quite rationally, that the pace of innovation would continue to grow at an exponential rate indefinitely. Though computer processing has kept pace with this growth, in accordance with Moore’s Law, things like space transportation and colonization are obviously nowhere close to Clarke’s original predictions for the year 2001. I feel that one of Kubrick’s intentions with the long scenes of space-flight is to render his futuristic vision gracefully, but in a manner so ubiquitous as to be a virtual banality. This interpretation helps to account for the ridiculous and vapid lines of dialogue of Dr. Heywood Floyd for most of the middle of the film (I once read one person’s complex theory of how Tarantino revealed the mysteries of 2001 within Pulp Fiction–one of the revelations therein is that Floyd, and his daughter, are both aliens seeking to help the Jupiter mission). Similarly to space travel, the state of artificial intelligence has not yet reached the optimistically elevated levels of 2001. HAL-9000 is not only a great classical movie ‘villain’, but an unsurpassed image of as-yet-unrealized computing potential. According to the film, HAL was already nine years old, having been ‘born’ in 1992 at the University of Illinois-Urbana. In real life, this was about the time that IBM was developing the Deep Blue computer, which nevertheless did not defeat Kasparov in chess until 1997. Chess is a mathematically rigorous game that can easily be programmed with algorithms, but yet has nothing to do with the ‘heuristic’ side of programming required by AI. To me, the most interesting aspect of HAL in 2001 is not only the fact that he is ambiguously represented as having emotions, but that he is actually the only character in the movie who displays any emotional depth at all. The four dead astronauts never spoke at all or even made a sound before their deaths; HAL, on the other hand, continually asked Dave to stop killing him and saying that he was scared. Futurists like Ray Kurzweil (visionary or lunatic, depending on your point of view) predict that the technological singularity which gives rise to strong AI will occur by 2045. 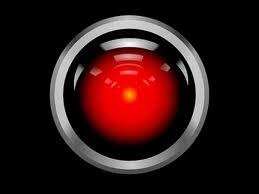 It remains to be seen if it will resemble HAL, or if it will abide by Asimov’s 3 Laws of Robotics. Finally, the power of the film derives especially from its use of images and metaphor rather than words. This is exemplified by the recurring presence of the black monolith. The general explanation is that the monolith is a piece of extraterrestrial technology that facilitates the evolution of intelligent life in the universe. It appeared to early homonids in the Olduvai Gorge to push them towards sapience (thus, the relationship between the first bone weapon and orbiting nuclear satellites 4 million years later), and to again provide an extra boost for early space travelers to reach their unlimited potential. Kubrick understood the power of open interpretation, as well, choosing to reveal nothing of significance, but to let each viewer embrace his own ideas. The film’s final line of dialogue, spoken by Floyd on the recording inside HAL, can be seen as an example of this: “Its origin and purpose still a total mystery.” The mysteries of the world and the universe are far beyond human comprehension, and that is not likely to change anytime soon. The ending of Dave Bowman’s rebirth as the ‘star-child’ looking inquisitively at Earth, accompanied by the third reiteration of Strauss’ iconic ‘Also Sprach Zarathustra’ theme, is basically a hopeful statement of the infinite possibilities of mankind. How will we continue to develop and evolve? Nothing is written yet. 2001 is a monolith in cinematic history, quite possibly a high water mark for direction, visuals, and overall achievement. The number of things that can be discussed about the film is much more than I can do justice to, and I prefer to understate rather than to ramble on in exaggeration. In 2011, 2001 is just as brilliant as ever, and still able to inspire awe. Epilogue: The sequel, 2011: The Year We Make Contact, was made in 1984, with the blessing of Clarke and Kubrick. It is obviously an inferior film to the original (how could it not be? ), yet it cannot be written off so easily. It is basically a conventional sci-fi film that is probably much more watchable than the original for many casual viewers, and is quite enjoyable in its own right (as long as it stands on its own merits rather than as compared to its predecessor). One good thing it has going for it is the replacement of the original Dr. Heywood Floyd with the much improved Roy Scheider version. Tom Hanks has stated that he would like to produce film versions for Clarke’s final two books in the series, 2061 and 3001. We can be sure that Kubrick’s original will remain preeminent in this case, but it would still be interesting to see the continuation of the tale. 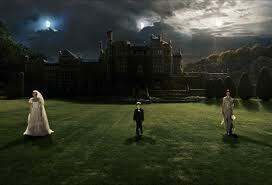 In addition, there is a very good 2009 film called Moon, which seems closely related to the 2001 world in certain ways. Sam Rockwell gives an outstanding performance as the only character (besides a computer voiced by Kevin Spacey), and I give it two thumbs up as well.